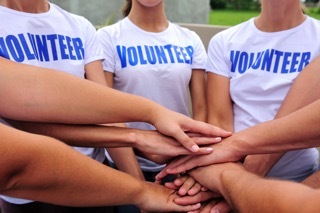 While volunteering is good for those in need, the giver cashes in big on generosity, too. Studies show the benefits of generosity and volunteering include a heightened sense of well-being, increased self-worth, and improved emotional and physical health. Being generous makes us feel better about ourselves. It builds confidence, and encourages us to focus toward the world rather than ourselves. When we improve someone else’s life, empowerment grows and we are better able to deal with life’s hardships. Generosity and volunteering also lower mortality rates, reduce cardiovascular risk, decrease anxiety and depression, and improve sleep. Don’t volunteer or be generous simply in order to improve your health or solely out of obligation. Remember, generosity and volunteering are good for everyone. Others may have chronic health conditions they are working to manage, and allowing them to help you will help them as well. If someone is generous to you, don’t brush it off or feel undeserving — receive their kindness with sincerity and grace. This will bring you closer to the person and allow them reap the benefits of giving as well. Most pet lovers find their furry, feathered, hoofed, and scaly companions count among their best friends. But pets aren’t only good company — research shows they greatly benefit your mental and physical health. A study in Finland showed that babies who grew up in a home with cats and dogs were 44 percent less likely to develop ear infections and 29 percent less likely to receive antibiotics in their first year compared to babies from pet-free homes. The theory is that exposure to bacteria brought in from outside by pets helps the developing immune system learn how to react properly to germs in the environment. And the more time the pet spent outdoors, the greater the benefit. Other studies show that children who live with dogs and cats in the first year of life are less likely to develop allergies to those animals later in life. People with pets have lower cholesterol and triglyceride levels than non pet-owners, regardless of weight, diet, and smoking habits. In subjects who have experienced a heart attack, dog ownership decreases the odds for death the first year post-heart-attack from 1 in 15 to 1 in 87! In people undergoing stress tests or physical examinations, the presence of a dog during the exam lowered heart rate and blood pressure. “Seizure-alert” animals are trained to signal their owners prior to a seizure as well as protect them during the event. Some pets are trained to alert their diabetic humans to episodes of hypoglycemia (low blood sugar) before life-threatening symptoms develop. Prescription drug use and overall costs of caring for patients in nursing homes dropped in facilities where companion animals became part of daily therapy. The need to exercise a pet and care for it often results in better physical and mental health for the human, regardless of age. Researchers at the University of Arizona are exploring whether dogs can improve human health by having a probiotic effect on the body. A study at Tufts University found young adult pet owners are more connected to their communities and relationships, are more engaged in community service, help family and friends, demonstrate more leadership, and have more empathy and confidence than non pet owners. Caring for a pet can prevent downward spirals by providing consistency and routine, helping us feel needed, and giving us something to do each day. This is especially true for those who live alone, as well as the elderly, who say their pets provide social companionship and a reason to get out of the house for exercise and socialization. Even families surveyed before and after they acquired a pet reported feeling happier after adopting a pet. In conclusion, pet owners exhibit greater self-esteem, are more physically fit, more conscientious, less lonely, more socially outgoing, and have healthier relationship styles than non-pet people. The researchers concluded that our pets contribute to our sense of self just as much as our human companions do.